Vibrant radio single precedes the artist’s Steve Oliver-produced album, due March 3. 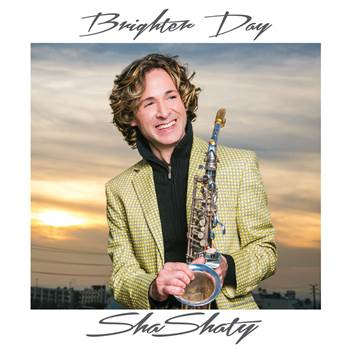 Los Angeles, California (28 January 2015): It’s a new dawn for veteran contemporary jazz saxophonist ShaShaty, who will release his sixth album entitled “Brighter Day,” on March 3 on the newly formed A.H.I. Records. His first collection comprised entirely of original songs in more than a decade, the set showcases the artist who had a hand in writing seven of the disc’s eleven songs that were produced by guitarist-vocalist Steve Oliver, writer or co-writer of ten songs for the record. The energizing excursion “Dream Ride” bodes to illuminate radio playlists ahead of the album’s street date when the single is serviced to stations for airplay early next month. The video for the single will premiere at Universal CityWalk in Universal City, California where ShaShaty has been a featured performer over the past decade. Instead of limiting himself to a singular sax voice, ShaShaty’s dynamic multihued approach places him front and center on the melody-rich jazz, pop and R&B outing playing tenor, alto and soprano sax. Fellow sax player Will Donato bolsters the horn section parts on “Dream Ride” and Spyro Gyra drummer Bonny B dispenses deft beats on four cuts. Taiwanese vocalist Usay Chu makes her U.S. recording debut by gracing a pair of tunes – “Song Of Hope” and “A Million Miles” – with her ethereal wordless vocalizations. Making “Brighter Day” a standout session is the chemistry between ShaShaty and Oliver. The hornman’s impassioned and emotive play flourishes in the company of the guitarist who has a masterful command of buoyant harmony. Tracks have a robustly full sound from which potent hooks connect and enveloping melodies leave a lasting impression. The power-packed pop gems that comprise “Brighter Day” also have depth and provide a varied listening experience that audaciously ventures into funky trip hop territory (“Let’s Go!”), explores an off-kilter staccato rhythm (“Late On 91”), mines an Indian motif (“Mumbai”), serves a sublime sax and guitar call-and-response chorus (“August”), romances on amorous overtures (“My Heart Yours” and “I’m Always Near”), takes off on a whimsical flight of fancy (“Brighter Days”) and closes with a blissful meditation (“Float Away”). “I haven’t recorded an original project in quite some time. My previous two projects consisted of classics from the past few decades. Those interpretations were part of a period of growth and self- discovery for me musically, especially when reimagining so many beloved works. I found myself in a new, fresh space and realized it was time to reach deep inside to see what would emerge creatively. Steve Oliver and his amazing production work provided the skilled hand to help me realize ‘Brighter Day.’ I’d love for this instrumental pop project to be the vehicle that opens new horizons for many new listeners – even from other genres and cultures – that may not have necessarily been contemporary jazz followers before, but now call themselves fans,” said ShaShaty, who will perform material from “Brighter Day” on Valentine’s Day at Rideau Vineyard in Solvang, California. 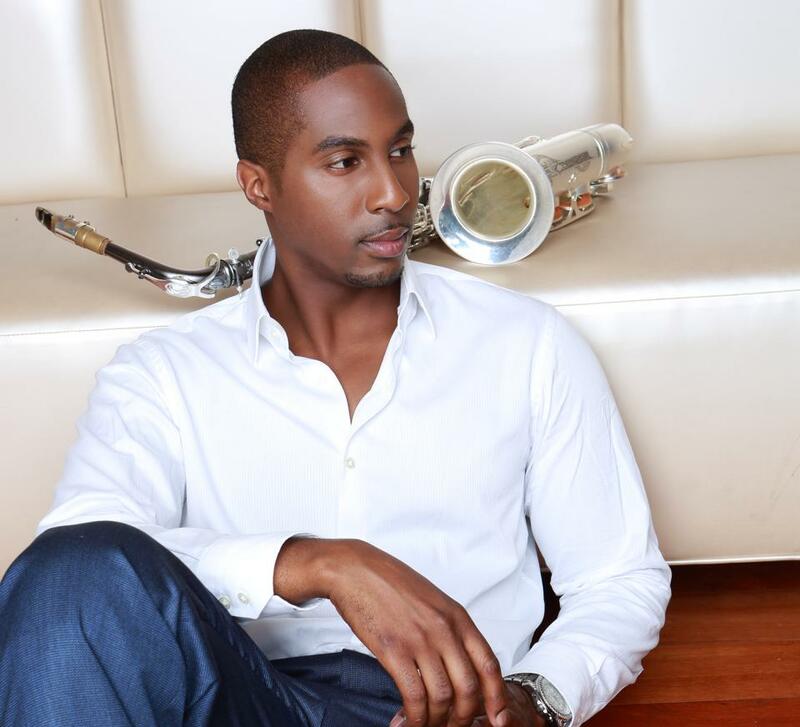 A Miami, Florida native who is a long-time Los Angeles resident, ShaShaty has vast stage experience performing on concert dates and festival bills with the likes of Carlos Santana, The Mavericks, The Bee Gees, Gloria Estefan, Michael McDonald, Peter Cetera, George Benson, Dave Koz, Kirk Whalum, Brian Culbertson and Boney James. In addition to garnering radio spins throughout the U.S., ShaShaty has played on national television on “Today with Kathie Lee & Hoda” and on a PBS special alongside GRAMMY® winner Al Jarreau. ShaShaty, who released his self-titled debut album in 1993, serves as host of “Vineyard Jazz,” a wine and music lifestyle program being developed by A.H.I. Records for syndication. Please visit http://shashatymusic.com/ for additional information. 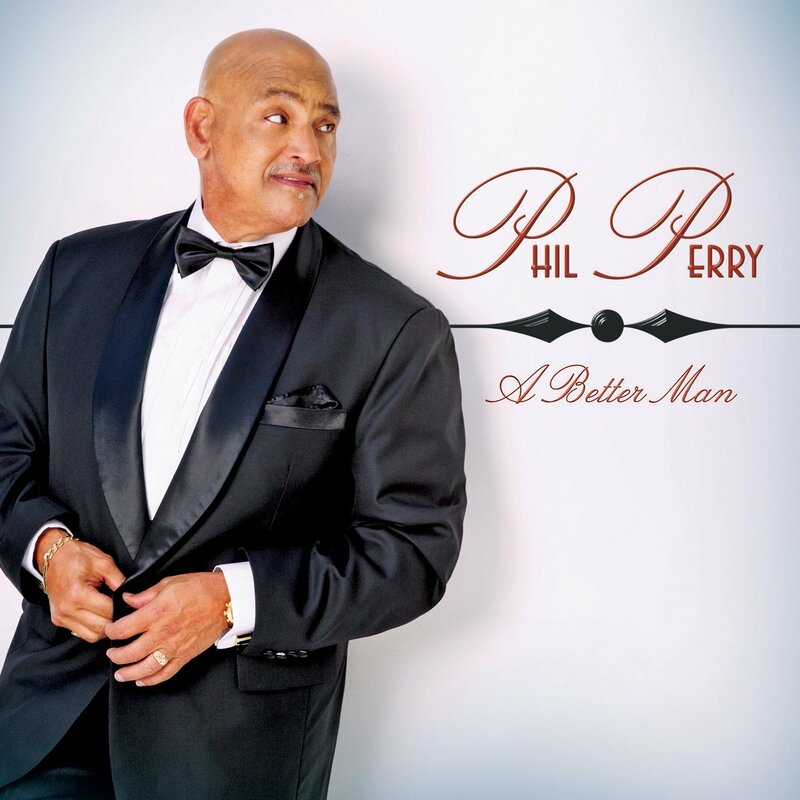 With a career spanning 46 years, Phil Perry encapsulates what it is to be “A Better Man.” The vision for his latest album is simple yet powerful, and it stems from realizing that at this point in his life, he still has room to grow into more than he is. Perry says he wanted the album to “touch on different facets of relationships, from different perspectives, be informative, enlightening, but entertaining as well.” Having an understanding of the importance of being “audience inclusive,” he has always been able to capture and engage listeners. The romanticism heard throughout the entire album is sure to warm the hearts of fans old and new. 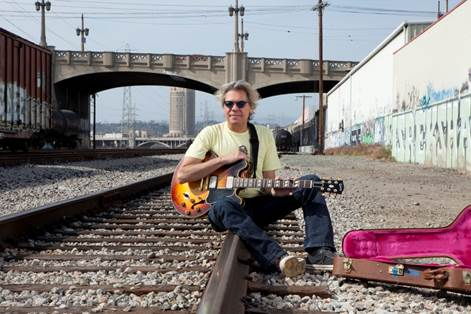 Taking this journey with Phil is his longtime friend and colleague, Chris “Big Dog” Davis. Together, they created a collection of eight original songs, two covers, and sailed into romance paradise. Phil invited Kim Waters, Rick Braun, and Howard Hewett to collaborate on the project, as well. Collectively, the album is intimate and romantic with a twist of old school and infused with heartfelt sentiments. Lawson Rollins is a virtuosic tour guide on a musical exploration around the globe on his fifth album, “Traveler,” which will be released February 17. San Francisco, California (15 January 2015): Many people travel from an encapsulated distance, staying at posh brand name hotels and dining under the golden arches while others prefer to explore by blending amongst the natives for a more immersive and organic experience of the actual sights and sounds of a culture. 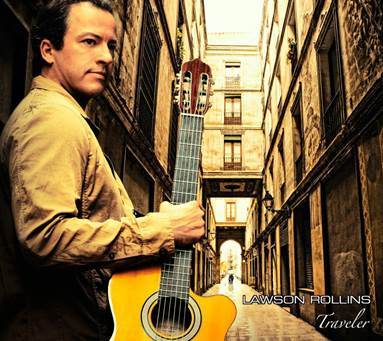 Award-winning guitarist Lawson Rollins lives by the latter philosophy, taking his guitar with him to view and interpret his global journeys. Writing twelve expansive compositions that are wordless diary entries encapsulating his travels, Rollins’s virtuoso guitar parlance speaks a universal language on tales of exhilarating adventure, intriguing mystery and enticing romance on his fifth album, “Traveler,” which will be released by his Infinita Records label and distributed by Baja/TSR Records on February 17. Presaging the album release at radio is “City Electric,” a vibrant, pulsating EDM energizer unlike anything Rollins has ever recorded before. The single starts as one of the most added on this week’s charts. In December, Rollins won the prestigious 2014 USA Songwriting Competition’s best instrumental song and was the first ever instrumentalist to place third overall in the 20th year of the international contest that attracts 25,000 submissions from 80 countries. The complex and emotional “Shifting Seasons” appears on the artist’s 2013 release, “Full Circle.” Rollins has topped the most-played chart on SiriusXM Radio’s Watercolors resulting in a guest DJ hosting gig. The San Francisco, California-based musician debuted as a solo artist on 2008’s “Infinita” offering an inventive fusion of Latin, Indian, Persian, Arabic, South American and Euro stylings along with a guest appearance by Brazilian jazz vocal legend Flora Purim. Earlier in his career, Rollins partnered with Daniel Young to form Young & Rollins, a duo that crafted an eclectic mélange on four albums of salsa, bossa nova, flamenco, Latin and jazz grooves, hitting the Billboard Top 25. For more information, please visit www.LawsonRollins.com. Los Angeles, California (12 January 2015): Years ago, a young ambitious musician-songwriter-producer emerged from Chicago who went on to architect 27 No. 1 Billboard singles along with a half-dozen albums that debuted at No.1 that changed the status quo with a creative and fresh alchemy of astutely performed contemporary jazz, soulful R&B and horn-powered funk. Decades later, his ability to achieve and balance commercial success and the respect of his peers is perhaps as admirable as his hit-making consistency and the meticulous approach he uses to craft infectious melodies and compelling rhythms. The above description could easily apply to the works of his role models, Maurice White and Quincy Jones, but here we refer to Brian Culbertson. From the 1994 debut of “Long Night Out,” released while the keyboardist-trombonist was a DePaul University music major recording demos in the bedroom of his crowded apartment that landed him a six-album record deal, right up through his 14th album, 2014’s “Another Long Night Out,” Culbertson has injected a much needed jolt of lyrical harmony and deft musicianship along with a flair for lively showmanship that meshes to form an aesthetic that raises the bar on a musical genre. To commemorate his 20th anniversary as a recording artist, Culbertson marched his well-drilled band out on a coast-to-coast concert mission last year that was preserved for posterity on his first live album recorded during a sold-out, eight-show stand at the famed Yoshi’s nightclub in Oakland, California last September. 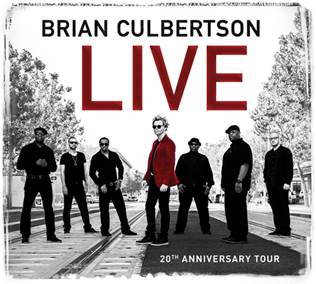 The resulting double CD set, “Live – 20th Anniversary Tour,” was released Monday – Culbertson’s 42nd birthday – on his own BCM Entertainment label. Featuring a crack eight-piece band, many of whom are musicians out of Chicago and have been playing with Culbertson for years, “Live” is a spirited and at times sweaty celebration of jazz, fusion, R&B, romantic piano pop and deep funk grooves that barely let up for air bolstered by crisp horn section arrangements reminiscent of the mighty Earth, Wind & Fire and Tower of Power. One could say that “Live” is a statement album. Forget what you thought you knew about so called “smooth jazz.” Seldom does a contemporary jazz artist dare to release a live record these days making it even more of a treat that Culbertson & Company was able to bottle the magic, charismatic energy and excitement of their live show on this recording. The 21-song session – 22 songs if you include the CD exclusive bonus track, “Forever” – rifles through Culbertson’s chart-topping original compositions and introduces a vibrant new number, “Think Free,” the album’s initial radio single written by Culbertson and Sheldon Reynolds especially for the occasion. Culbertson’s set list also pays tribute to his influences – White’s Earth, Wind & Fire (“Serpentine Fire”) and Jones (“Secret Garden”) – along with the rump-shaking party starter “Hollywood Swingin’,” a Kool & The Gang classic. “I just wanted to capture the raw dynamic energy of our live show. My band members are each incredible talents in their own right and I’m happy to be able to showcase them, which in turn makes the entire project more exciting and daring,” said Culbertson, who is also a lifestyle curator who founded and serves as artistic director of the starry Napa Valley Jazz Getaway, the fourth annual wine and music festival presented by Lexus in the heart of California’s stunning wine country slated for June 10-14, 2015. Culbertson’s touring band consists of Marqueal Jordan (vocals, tenor sax & percussion), Eddie Miller (keyboards, Hammond B3 organ & vocals), Michael Stever (trumpet & keyboards), Adam Hawley (guitar & background vocals), Rodney Jones Jr. (bass) and Chris Miskel (drums). For the “Live” recording, they were supplemented by the firepower of Doug Beavers (trombone & additional percussion) and Doug Rowan (Bari sax). For additional information, please visit www.BrianCulbertson.com. Tagged 20th Anniversary, Adam Hawley, Brian Culbertson "Live", Chris Miskel, Doug Beavers, Doug Rowan, Eddie Miller, Marqueal Jordan, Michael Stever, Rodney Jones Jr.
Wishing everyone a healthy prosperous New Year.